Hello lovelies! We are Stefanie & Erin of the blog Oh So Lovely Vintage and we are so thrilled to be doing a guest post for you this Friday! We have been following Katie's blog for quite awhile now and we are huge fans of her work, so we were totally flattered when she asked us to participate in her weekly Friday is for Friends feature! If you have seen our blog before you probably already know that we are huge fans of past eras and are totally obsessed with all things vintage! Right now we are eagerly awaiting the airing of the new television series called 'Pan Am' which is based in the 1960's and follows the love lives of fashionable female flight attendants (which sounds a lot like an airline version of Mad Men to us!) 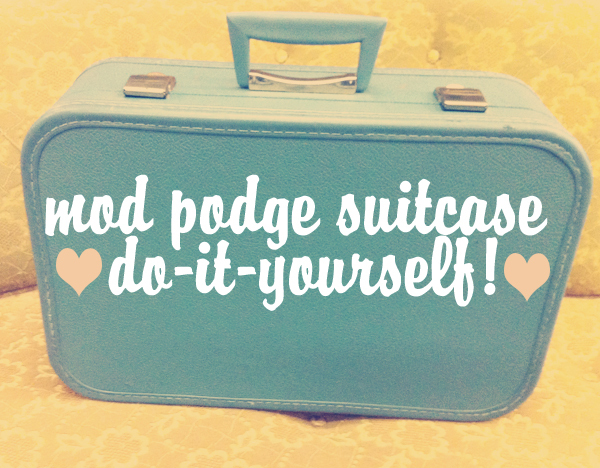 So in honor of that, we decided to make a fun do-it-yourself post on how to personalize your vintage luggage! This is a very simple project and a great way to add a cute little touch to your carry-on! 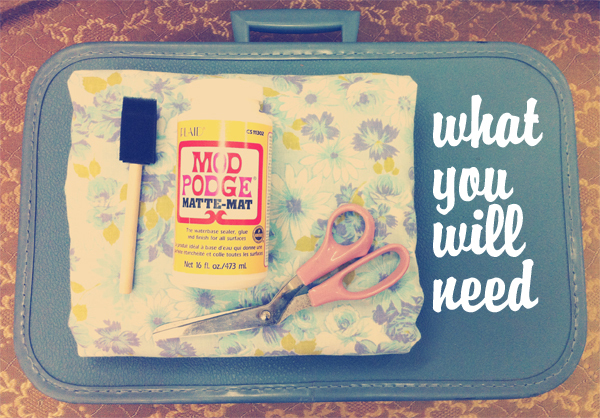 What you will need: an old suitcase, a cute fabric in a complimenting color to the suitcase, mod podge, scissors, and a sponge brush. 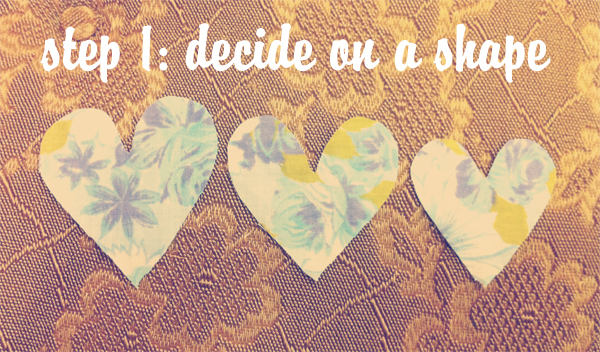 First, decide on what shape or design you would like to use. We are both suckers for hearts, so we decided to go with that! Now you're ready to start mod-podging! Apply a thin layer to the back of the shape to stick it down to the suitcase and then apply a thin layer over top of the shape as well, ensuring that it is thoroughly covered on both sides. ...and voila! A charming, fun, personalized suitcase! You will never have trouble keeping track of your luggage at an airport again! aw, so cute!! i'm in love with that suitcase! Thats interesting. There was an actual airline called Pan Am. My mother was a stewardess in the 1960's and 1970's till she was considered "too old" which they did back then. You had to be weighed in at a certain weight and be under 35. I might have to watch that show. Oh wow! Too cute! I love the scalloped camper. I want to own a whole closet of vintage! 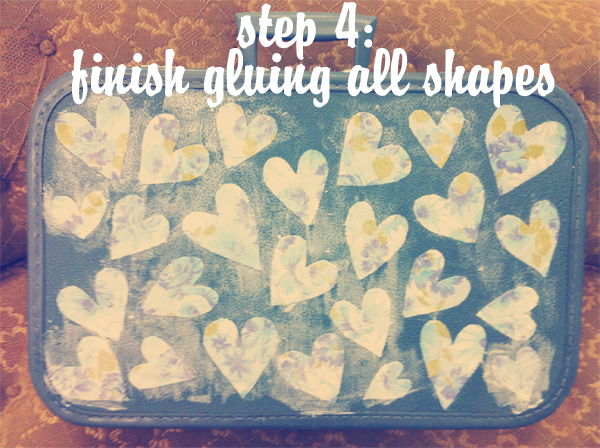 I have a few suitcases that could get a great make over from a tutorial like this. Must. Buy. 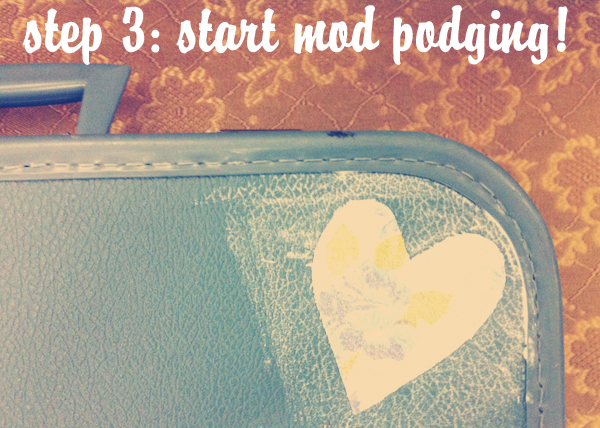 Mod Podge! what a cute idea! i love the lovelies, they are as sweet as pie! I absolutely love that! Now I need a vintage suitcase and somewhere to go! Good idea! 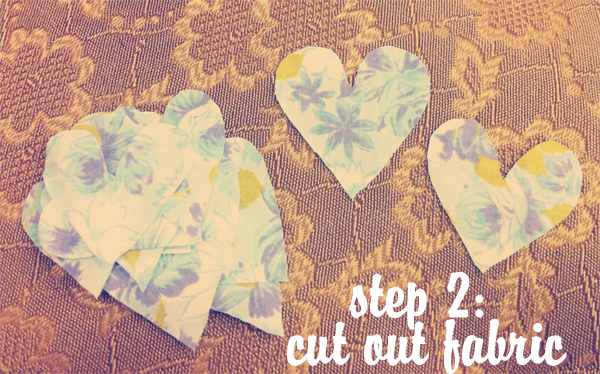 You could use pretty paper instead of fabric too. Maybe even some rick-rack along the edges...Thanks for getting the wheels turning! That is SO cute!! I'd love to do this to an train case!! So fun!! So simple and so precious! this is sooo cute! LOVE. thanks for sharing. Ohh my goodness!! Such a great idea!! I love these girls! 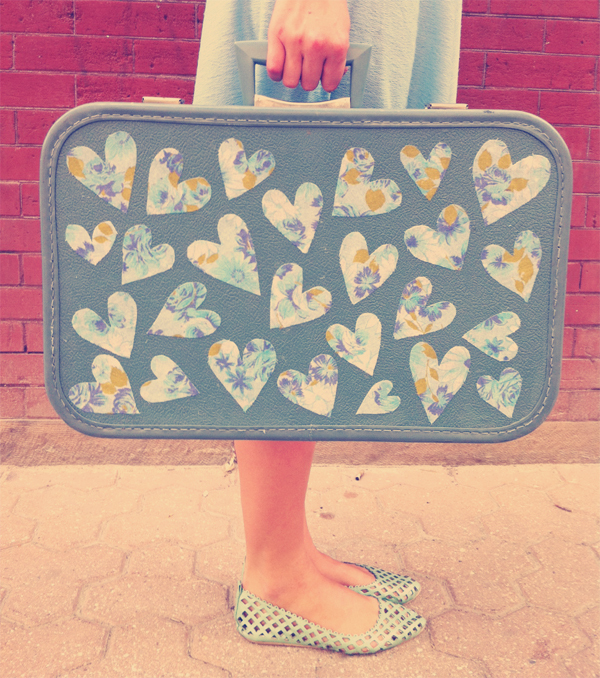 Really cute idea...Love the vintage suitcase! whoa that is so cute. i used to mod podge everything when i was a kid- tables, my telephone. my room looked like pee wee herman's playhouse. Those girls ARE oh so lovely aren't they. The girls of Oh So Lovely! That's my sister Erin! So proud of these two women. They work hard, with flair. You wear it well women. This DIY is great! I forgot all about Mod Podge! 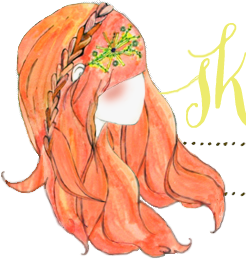 This tutorial is caaa-uute!! I've been checking the Oh So Lovely blog pretty regularly for the last couple of months. I think those ladies are about to become an obsession. Pea. Ess. Pics of the day planners are on my blog if you'd like to see them. Super cute! This is very fun. This is so cute. I love all things vintage. What a lovely suitcase! I mentioned it at my blog and offcourse linked back to you.